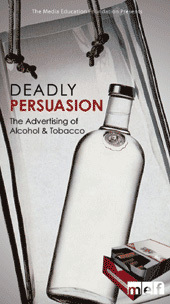 In Deadly Persuasion: The Advertising of Alcohol & Tobacco, Jean Kilbourne exposes the manipulative marketing strategies and tactics used by the alcohol and tobacco industries. Ilustrating her analysis with current advertising examples from mainstream and trade sources, Kilbourne presents a compelling argument that these industries have a clear and deep understanding of the psychology of anxiety and addiction-an understanding they exploit to create and feed life-threatening dependencies on their products. In the name of education and health, Deadly Persuasion casts a critical eye on the corporate interests of the industries whose products kill more than 450,000 American each year.